In case I haven't mentioned this before (here, here, here or here...) I LOVE greek yogurt (especially Total Fage; some of it is made in Cyprus)! I mean, what's not to love?! It's thick and creamy, can be eaten with practically everything and seems to last forever too! But why has Greek Yogurt made it onto my superfoods list? What makes it so healthy? - It contains hardly any ingredients and nowadays, with the extreme amount of additives in foods, the less ingredients the better! It has no sweeteners, no thickeners, no preservatives, no powdered stuff, no E numbers; it's just strained milk and cultures. - The cultures mentioned above are live active cultures, Acidophilus, Bifidus, L Casei; they sound like characters from a weird sci-fi film but these friendly bacteria are extremely good for the gut and improve intestinal health. - Greek Yogurt is very high in protein and low in carbs and sugar. 100g of fat-free greek yogurt contains, on average, 10g of protein and only 4g of carbs (4g of naturally occurring sugars) as well as only 55 calories and 0g of fat or salt. Greek yogurt is a great substitution for other higher fat alternatives in many different dishes: you can use it instead of or with cream cheese in cheesecake, use it instead of béchamel sauce in moussaka and lasagne, use it in baking rather than some of the butter (only in some recipes! 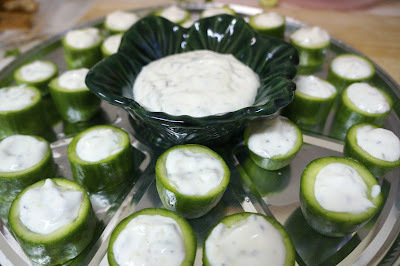 ), use it instead of sour cream as a dip or in tortillas, use it instead of or with mayonnaise in coleslaw or sandwiches, have it with fruit or desserts rather than cream, freeze it and eat it instead of ice cream or mix in your own ingredients to make a homemade fruit yogurt...the possibilities are endless! For breakfast (or dessert or snacks by the deliciousness of these ideas below), why not have a Greek Yogurt and Fruit Parfait or Sliced Fruit with Greek Yogurt and Ryvita? Click on the images or names to go to my Breakfast post to see these recipes in more detail. For a snack, enjoy some sliced apples or pear (or both!) with yogurt and cinnamon. Or why not mix some hot chocolate powder into the yogurt for a little treat! Use Greek Yogurt as a topping for Moussaka; mix it with equal parts light philidelphia cheese and spread ontop of your moussaka mixture (aubergine, courgette, chopped tomatoes, herbs, garlic and lean mince/ lentils) before putting in the oven for 30 minutes; I put my moussaka inside an aubergine! Comment down below if you would like the full recipe. 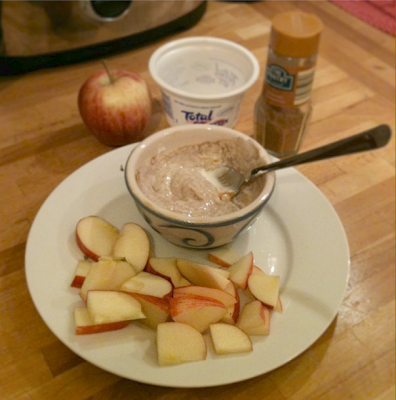 Use Greek Yogurt as a topping to any dinner/ meal. 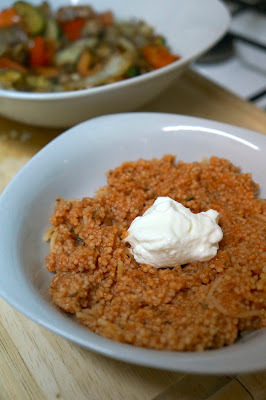 It's cool taste creates a great contrast to hot and spicy foods (curry, chili, soup) as well as a great accompaniment to grain dishes such as the Cypriot Bulgar Wheat Pilaf pictured below. 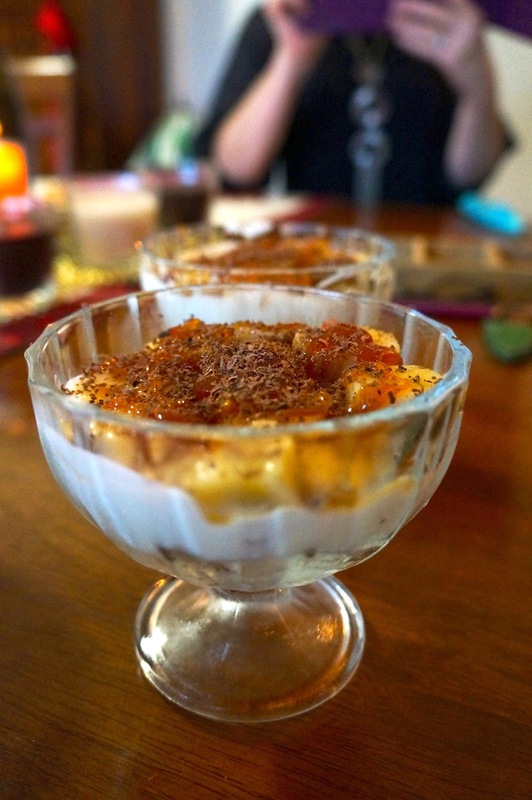 Use Greek Yogurt in desserts, my favourite recipes are healthy banoffee caramel parfaits and healthy cheesecakes (big and small)! Can you believe this is healthy?! Well, there you have it. One down, Eleven to go! Are you a fan of Greek Yogurt? Would it be in your superfoods list? How do you eat it ... got anything to add to my list? What do you think will be tomorrow's superfood?! By the way, just to let you all know, I've finally made a twitter associated just with this blog so I would love if you could follow me! As well as links to the blog, I will also be tweeting daily health and nutrition tips, recipe ideas and photos of things that I am eating or making! If you follow me, I'll follow back! I love the creaminess and protein boost it adds to smoothies too! We definitely do! So do I! It's amazing for every meal of the day...sweet or savoury! What a great idea! Dying to try all these recipes. Hoping to reduce my weight by at least a stone in the next month.